If you are on the lookout for a new SUV for your family, one of the most popular choices has long been the Ford Explorer. Below, you’ll find five reasons why you should buy a 2017 Ford Explorer. Wide range of trim levels. Whether you are aiming for a basic model, something sportier, or even something more luxurious, the Explorer has what you want. There are five different trim levels: Base, SLT, Limited, Sport, and Platinum. Three rows of seats. Depending on the model you choose, the Explorer will be able to seat six or seven passengers in three comfortable rows. With the available sliding second-row seat, you can maximize leg room where you need it most. Excellent engines. Buyers have three engine options to choose from, making it easy to find the right combination of power and efficiency. Adventure capable. With the available all-wheel drive package, you will be able to head off-road. Its 7.8 inches of ground clearance will allow you to drive over obstacles that would leave other vehicles behind. Good safety record. The Explorer gets good results in many crash tests and has some available advanced safety technology too. See what else the 2017 Explorer can do for you at Sanderson Ford today. The world of 1990 was truly a different place from where we are today. Then, the Internet was just a baby and not many people were using it. It was also the heyday of the minivan—something that was about to change. Introduced as a 1991 model, the Ford Explorer filled a space in the automotive market that many Americans were searching for. It offered enough interior space to haul large families, just like a minivan, but had a dynamic design and had the capabilities to head out on adventures. Now, 25 years later, the Ford Explorer is still America’s best-selling SUV. Ford celebrated 25 years of the Explorer at the Los Angeles Auto Show by showing off the 2016 model, which features more technology, such as front and rear cameras with washers to give you a clear view, enhanced active park assist, smart-charging USB ports, a hands-free liftgate, and Active Grille Shutters. The new Explorer also comes with an all-new EcoBoost engine—a 2.3-liter four-cylinder that delivers at least 270 horsepower and 300 lb-ft of torque. This engine will be available on the base, XLT, and Limited models. This engine is expected to maintain the Explorer’s position as a gas mileage leader. Another addition to the Explorer lineup is a new Platinum series that adds the premium amenities customers are looking for – from multi-contour front seats with Nirvana leather to brushed aluminum finishes. We’re expecting the 2016 Ford Explorer to arrive at Sanderson Ford sometime next summer. Everyone knows that there is more to the cost of a car then the initial price, and if you don’t buy the right one, you could find yourself blowing through more money than you expected. Thankfully, Kelley Blue Book (KBB.com) is here to help with the 5-Year Cost to Own Award. Three Ford models won the award this year, further proving they are the best way to go! The 2013 Ford Mustang GT was the winner for the high performance category. 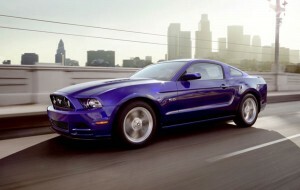 This year’s model has a more aggressive appearance and an amped up horsepower of 420 hp. 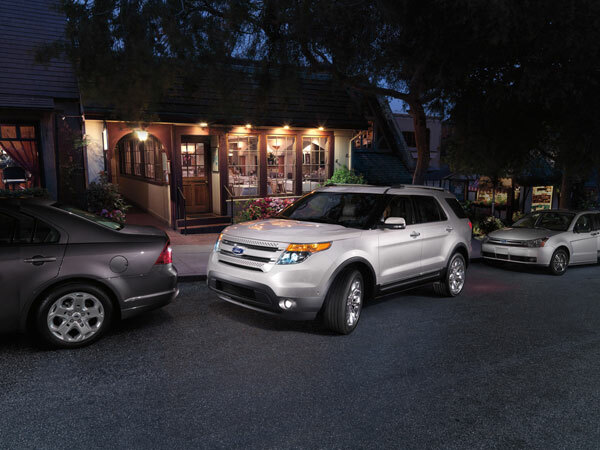 For the full size/crossover category, the 2013 Ford Explorer took the win. This is a great SUV for adventures with your family and friends, since it carries up to seven people and has an impressive 350 horsepower with the ecoboost engine. Winning the sports car category is the new, fun and efficient 2013 Ford Mustang. It will give you a powerful driving experience with 306 hp under the hood and a host of new styling upgrades. This award recognizes that each of the winning models offers the lowest projected ownership cost. The costs that are included in this evaluation are KBB fair purchase price, projected depreciation, financing costs, insurance costs and state fees. An estimated cost of fuel and scheduled maintenance and repairs are also included. If you want to reduce your cost of ownership, check out the KBB 5 Year Cost to Own Award winners at Sanderson Ford! The 2013 Ford Explorer is set to debut with best-in-class fuel economy, thanks to Ford’s revolutionary EcoBoost technology. Powered by a 3.5-liter EcoBoost engine, the 2013 Explorer returns 16 mpg city and 22 mpg highway, which ranks it 3 mpg city and 2 mpg highway better than its nearest competitor. Don’t think that best-in-segment fuel rankings take away from performance, because that is the beauty of EcoBoost technology. The 2013 Explorer’s EcoBoost engine generates 365 horsepower and 350 lb.-ft. of torque, enough power to tackle any job. The seven-passenger Explorer also boasts a six-speed SelectShift automatic transmission with paddle shifters for increased driving dynamics and control. Ford also delivers drivers with the technology they crave in the 2013 Explorer. The 2013 Ford Explorer is equipped with SYNC with MyFord Touch which allows the driver to control just about everything in the vehicle with just the sound of their voice. From making phone calls and selecting music to controlling the climate of the vehicle, this Explorer listens and delivers. 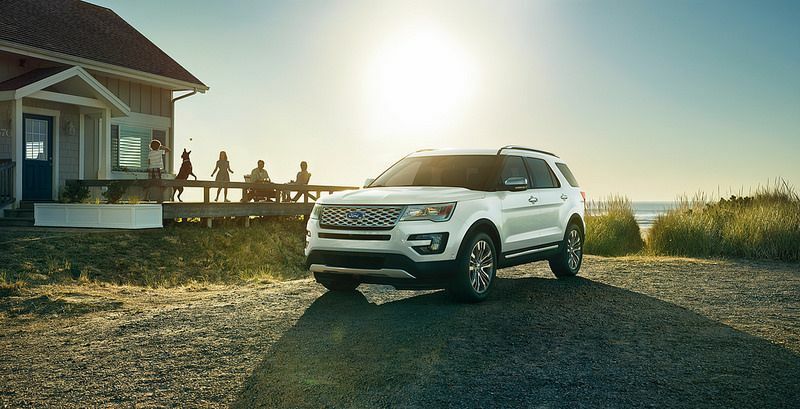 The 2013 Ford Explorer will also be available with other new technologies including, active park assist to aid in parallel parking, a Sony Premium Audio System with HD Radio and advanced navigation. Last week, we told you all about the 2012 Ford Edge with EcoBoost receiving 30 MPG. Now, we bring you more good news! The 2012 Explorer SUV, last year’s North American Truck of the Year, will also be available with the EcoBoost engine and is expected to achieve 28 MPG. With the 2.0-liter EcoBoost engine, the Explorer has received an EPA-estimated fuel economy rating of 20 city/28 hwy MPG. The real benefit of the EcoBoost engine is that consumers do not have to sacrifice power to achieve great fuel economy. A gasoline injection, twin independent variable camshaft timing, and a unique 6F35 6-speed automatic transmission allow the Explorer to output 240 horsepower and 270 lb.-ft. of torque while still receiving class-leading fuel efficiency. Sport Utility Vehicle used to be synonymous with gas guzzler, but not anymore. Ford, along with the EcoBoost engine, is changing the way we think of SUV fuel economy.